Hobbyist rocketeer “Mad” Mike Hughes has again failed to launch. 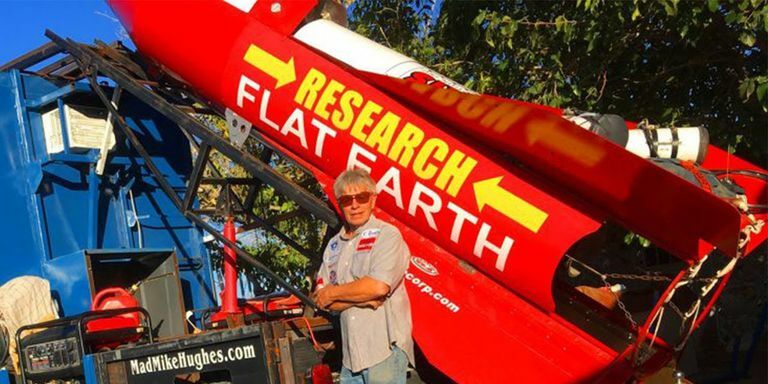 Hughes, you may remember, promised last November to launch himself 550 meters (1,800 feet) into space using a homemade rocket in an attempt to prove the Earth flat. His publicity stunt ended predictably, with Hughes’s first failure to launch in January — foiled by the government, he claimed. This week it was a failed actuator. To repair the damaged part, Hughes says, someone will have to crawl under the rocket, a process he admits is quite dangerous. “This ain’t no joke, this thing’s got about 10 different ways to kill you, ok?,” he said. Turns out, launching yourself into space is hard work. Hughes’ particular brand of crazy shot onto the scene back in 2016, when he tried to crowdfund his sky high ambitions. He raised just $310 of his $150,000 goal. Maybe Mad Mike should just try a high altitude weather balloon with a GoPro camera?